LOVE fitness classes? But hate being locked out of classes? I’ve been using FitReserve for about 2 months now (first month was a free trial) and loved it so much I cancelled my other subscription service (one that I was with for over a year). 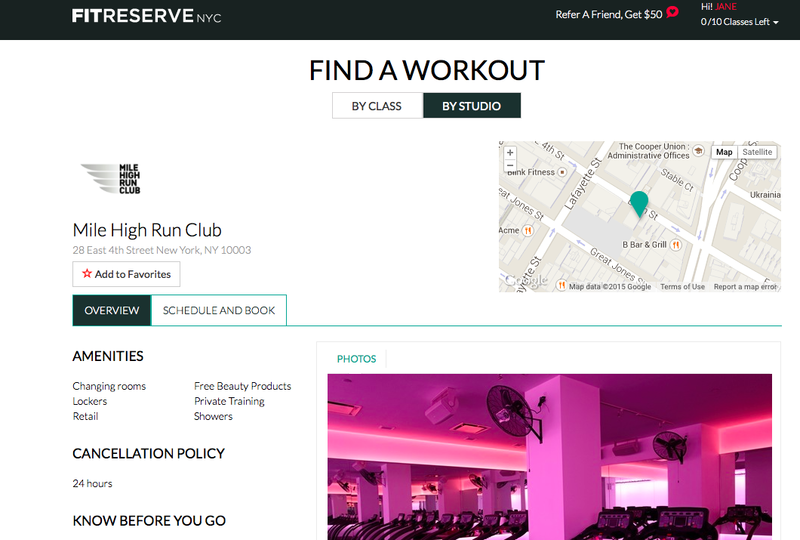 When the average fitness class in NYC is $34, FitReserve offers up a serious discount of 50% off or more. 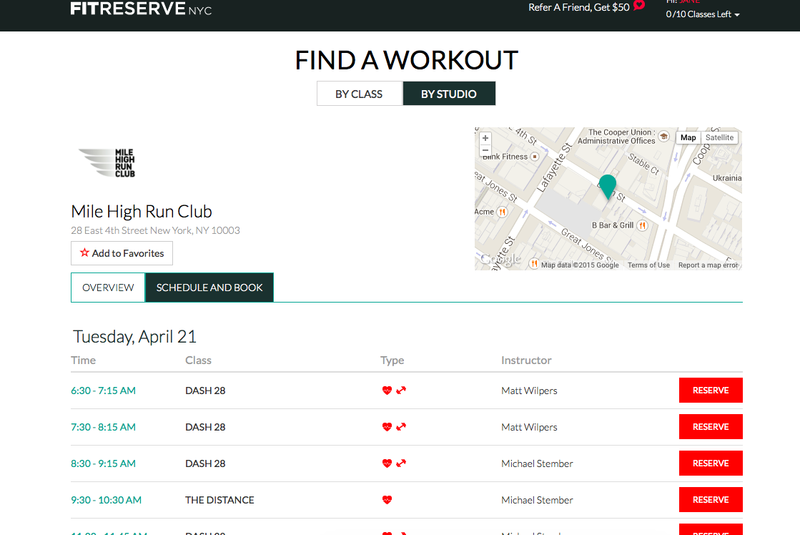 If you’re not familiar with boutique fitness class subscription services, FitReserve partners with studios to offer spots in their classes. You can either get their silver membership (10 classes for $150 or 20 for $250). You can take 4 classes per 30-day cycle at the same studio. In addition to classes, the membership comes with perks like discounts on Instacart or discounts at Exhale’s spa. Open classes – no more getting blocked out of classes at Exceed, Mile High Run Club or Uplift even at peak hours. Perks for other things fitness & health related like Uber, Instacart, & Lole. Taking classes at my favorite studios 4x a month? Yes please! You can reserve last minute – I once reserved Exceed just an hour ahead of time. Cancellation policy is also better now that they changed it – now it just depends on the studio (most are 12 hours). Easy to use – I really had no problem using the website. Also each studio page lists out amenities like showers, lockers, etc. There are only 6 studios outside of Manhattan – all in Brooklyn. Only 3 of the 6, I’m able to access without a 40 minute ride (Xtend is my go-to in Brooklyn Heights). Will only show you your past workout history for the cycle. Found out the hard way when I was trying to do a recap workout post. If you couldn’t tell from my past workout recap posts, I basically go to the same 3 places – Exceed, Uplift and Mile High Run Club which make it worth it for me. I’ve also gone to Xtend barre. A few other of my favorites are on FitReserve like Body Space Fitness, Swerve, and Exhale. If you want to sign up, use my referral link —> here. Get $50 off your first month for 10 or 20 classes.